Between 1789 and 1815, Britain faced a surge of challenges brought about by the French Revolution. Growing tensions with France, then the outbreak of war, exacerbated domestic political controversy, giving rise to new forms of political protest, to which the government responded with ever-increasing severity. Reforming Ideas in Britain brings together a series of essays to provide a vibrant historiography of Britain's political thought and movements during the 1790s and beyond. 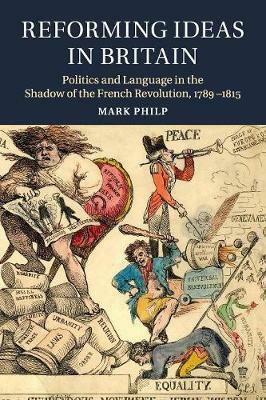 Challenging traditional perceptions of the period, Philp prompts us to reconsider the weight of various ideas, interpretations and explanations of British politics and language, showing us instead that this dynamic world of popular politics was at once more chaotic, innovative and open-minded than historians have typically perceived it to be. This is an essential interdisciplinary text for scholars of history, political theory and romanticism that offers a fresh perspective on radicalism, loyalism and republicanism in Britain during the French Revolution.